The aging process brings with it any number of indignities. One of those is incontinence. People without the problem may look at incontinence as an inconvenience and not a serious ailment, and for mild problems that may be true. However, incontinence can develop into a major issue when it contributes to depression and even isolation. We’ve been taught to control our urinary urges since we were tots. Some of us have had an “accident” when we were older because of nervousness or being out in cold weather, and if that has happened, we’ve never forgotten it. Therefore, discovering that we may be losing control of our urine in our adult years can be devastating. 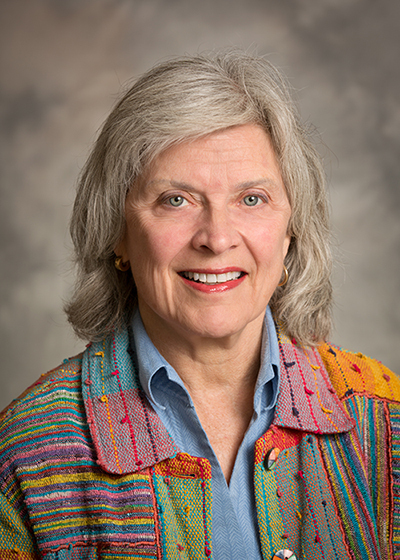 To gain some professional insight into the common problem of urinary incontinence, HealthCentral conducted an email interview with Dr. Mary Lake Polan, who is a Clinical Professor of Obstetrics, Gynecology and Reproductive Sciences at Yale University School of Medicine. HealthCentral: Dr. Polan, could you explain the different types of incontinence that affect aging women? Dr. Mary Polan: The two major types of incontinence are stress incontinence, which often occurs after a vaginal delivery or because a dropped bladder or genetically poor connective tissue. The second type is called urge incontinence and results from increasing age or a nerve problem. Both men and women can have urge incontinence which gives them a sudden and, for some, uncontrollable urge to urinate. HC: Do any of the medications on the market help incontinence enough to take chances on risks and side effects? Dr. Polan: Some of the medications for urge incontinence are effective and they have mostly minor side effects. There are no medications for stress incontinence. HC: How about Kegel exercises? Dr. Polan: Kegel exercises can be helpful if you do them often and consistently. HC: At what age, on average, do you start hearing about incontinence from your patients? Dr. Polan: In women with stress incontinence I hear about it during child bearing years and right after they deliver babies. For urge incontinence, I usually start hearing about it as women age, particularly after menopause. HC: Do you think that many women don’t bring it up, even to their gynecologist, because of embarrassment? Dr. Polan: Yes — and many doctors don’t even ask about it. HC: When should a woman see a urologist for these issues? Dr. Polan: Start with your OB-GYN and ask about what to do. You will often be referred to a urogynecologist who can evaluate you with tests and then form a treatment plan. HC: What else would you like to share with us? Dr. Polan: Most women don’t know that there are ways to lessen the symptoms, so they wear diapers and pads for years. If Kegels don’t help, pelvic floor training is often very helpful for stress incontinence. Programs like Consortia, which you access through your doctor, provide a personalized diagnosis for your type of incontinence and then can provide the treatment to re-train the pelvic wall to reduce or eliminate incontinence.